"The Blenko Water Pitchers are perfect for serving your favorite iced beverages. 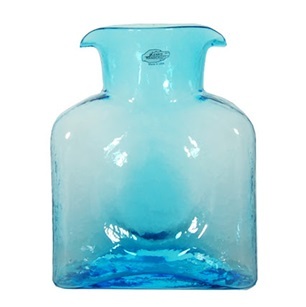 Their vibrant colors compliment every place-setting and home decor. The year that each piece was produced is etched on the bottom of these unique pitchers making them a special gift to celebrate a birthday, a friendship or Christmas."